Sometimes we like to see the world from the eyes of others. Books are the medium by which we get the knowledge of what the writers think about life. People sometimes encounter their life partner merely by being at the right place, at the right time. “Attraction” By Labarron Kennedy is like a key to your new life, it’s like a source from which you will get to know about the heaps and bounds that will ultimately lead you towards your final destination in making a correct decision. 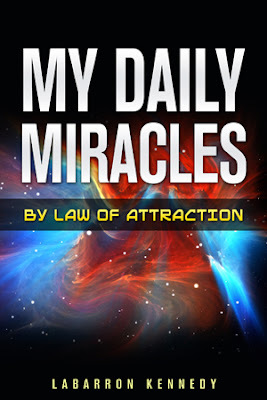 This book reveals to the readers about the laws of attraction and what are its impacts upon our lives. he book is basically about a new way of thinking and what a person wants or desires for themselves and in what ways or manners he or she wants their lives to move in. The author has highly focused on relationships challenges and has highlighted the ways people think, as our thinking brings a huge impact in our lives. If one would take things in an optimistic way, things will certainly go on his or her side in a positive manner. The writer has also reveled his own story that how these things have made his life easier for him to live in, along with being a model for others to bring positive change by implementing the law of attraction, universal laws and gratitude in life that will bring positive changes in their lives as well. Labarron Kennedy the author has clearly enlightened not only what you need to identify, but what you need to do in order to fascinate what you want in your life. As it’s a universal fact that “like attracts like” so, positive things are responsible to bring up positive changes and vice-versa. It is a thought-provoking guide that will take you step by step through the processes of attaining your dreams, desires and goals. This book will bring a sense of who you really are and what you want and why are you here. Your new journey will begin right here and right now. You yourself can change your living, increase your knowledge, awareness and empower yourself to create an incredible future the one that is filled with joy, lavishness, prosperity, abundance and love. You should know that you are the reason for all the challenges, ups and downs in your life. So, you must read this book as it will be the ultimate key towards your success in life and don’t forget to share about it with your loved ones.